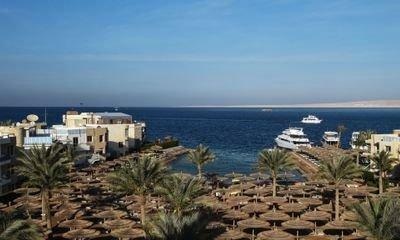 A British couple have died while on a Thomas Cook (Frankfurt: A0MR3W - news) holiday at a Red Sea resort in Egypt. The couple, from Burnley, died while staying at the Hurghada resort, the tour operator said. One of them was a long-serving employee of Thomas Cook. Ingo Burmester, chief of Thomas Cook UK, said: "We are deeply saddened by the deaths of two of our customers while on holiday in Hurghada in Egypt, one of whom was a loyal and long-serving member of our Thomas Cook family. "Our focus is on fully supporting their loved ones. We are urgently investigating with the hotel and supporting the local authorities." The circumstances of their deaths have not been revealed, including when they died, and investigations are continuing. Thomas Cook's head of customer welfare Carol Mackenzie flew out on Tuesday to provide support to the family, the operator confirmed to Sky News. A Foreign Office spokesman said: "We are supporting the family of a British couple who died in Hurghada, Egypt and we are in contact with the local tour operator."